Swears loyalty to House Lannister and carries the banner of the lion into battle. To assist in the campaign against House Lannister House Stark, uses trained pikemen, archers recruited from Clegane House or remove farmers from their fields and turn them into fighters. ¿You will come to the call? 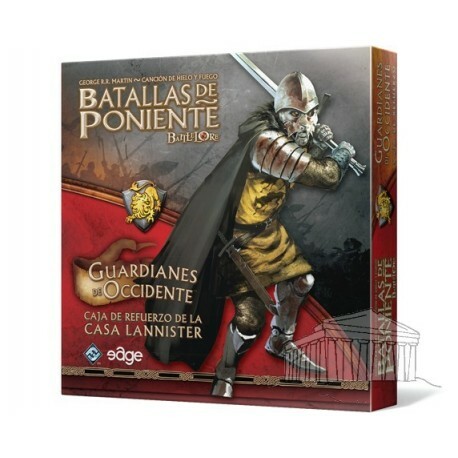 The Guardians of the West expansion adds more commanders and Lannister Lannister forces units to the basic game Battles of Westeros. Players can use these new units to take part in battles set in the fantasy series A Song of Ice and Fire by George RR Martin or create your own battles.